How can I reuse or recycle contact lenses? | How can I recycle this? How can I reuse or recycle contact lenses? I have just had my eyes lasered and need a suggestion of where I can send unused trueye contact lenses? Also have some monthly disposables and two pairs of glasses? 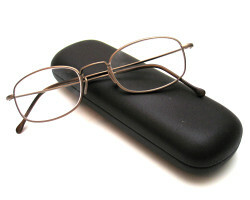 Glasses – spectacles – are quite widely collected for recycling/reusing overseas — a lot of opticians have collection bins and some charity shops do too (Help the Ages, for example). 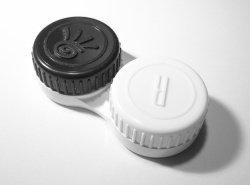 Contact lens containers are also useful little things – eg, use them for carrying little amounts of salt, pepper or other seasonings on camping trips. But what about the contact lenses themselves? Does anywhere collect them for redistribution overseas or anything? i once donated a contact lens to a vet to help heal an injured eye of a cocker spaniel. My optician takes back any unused, unexpired lenses when my prescription changes. They usually give me a discount on my new lenses if the box is open, or a full refund if the box is unopened. I’d glue two lenses together, after placing an itsy-bitsy image or an object inside. Makes nice necklace. The earrings can be made by the same principle. Glue it onto a button to make it even prettier. Make a bowl or a sink for doll’s miniature house. Place a seed and a drop of water and watch it grow. Squeeze in into a small hall in a wall before plastering. Use for Halloween makeover. Glue to your face and cover with make up. I’m so interested in your seed growing in the lens:) Mind telling me what it turn out to be at last?Thanks! 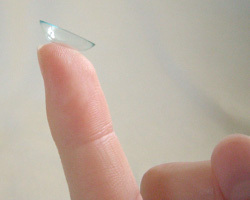 I am sure anybody who finds a way to recycle contact lenses will make millions of dollars.. Probably good idea to use in a sculpture to build realistic eye curvature. Probably good idea to use in a sculpture of a face to build realistic looking eye curvature. One can make a vase for a call house, or a lamp, or just a kitchen bowl, fire pit? roof light for a miniature house? Glue two lenses together with a tiny picture or an item in between. Hang on a chain and wear this cool necklace. Glue few dozen of lenses to the bottom of a rug, it will not slip. Some sewing thimbles feel too hard on a finger or are too big. Slide the eye lens inside the thimble to fix the problem. Replace lost lining in a bottle, say, perfume bottle, with contact lens. Cut it to the needed size, if you have to. 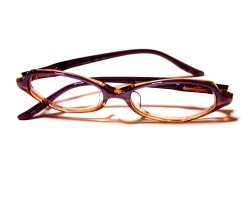 Also, contact lenses can be attached to furniture legs to prevent scratching of the floor. Try to do this with coasters too. I used them to stop microwave from moving when I open it’s door. Glue them on the bottom of electronics to avoid scratching surfaces.